"A good book should leave you... slightly exhausted at the end. The aspect of reading I love the most is the escapism it offers, especially during difficult times. The books I select as my favorites each year are those that: I get lost in; the ones that while reading, I lose all track of time; the ones that evoke the strongest emotions; the ones that make me laugh, cry, blush, gasp, and sigh. Yeah, those books! I thought it worth mentioning that three of the books were digital library books and two of the books that made my favorites list were less than $1.20 each. Their value far exceeding their price. Each year I meticulously review my database and Goodreads shelves to select my favorites. Even though I arbitrarily decide upon the categories, I am careful in considering which books deserve each designation. To all the authors whose books entertained me this year, and especially those who wrote my favorites below, you've earned my highest esteem and gratitude. Thank you! My Goodreads Challenge total was 284 (first reads and rereads of single titles). My database total was 258 (book bundles are counted as a single title). 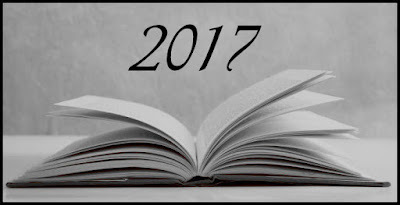 There are several books that were published in 2017 that I was unable to read this year, some of which were published late in the year. I may have to make an exception for some of them and include them in next year's list. My favorite genre remains romance, but I also enjoy select mysteries, thrillers, and popular fiction. In 2017, I finished a total of 123 digital library books and didn't finish an additional 13. In total, 18 books were added to my did-not-finish shelf this year. I'll be starting out 2018 with over 200 books (nearly all priced under $2.00!) on my to-be-read shelves—primary and secondary—and nearly 100 books on my library wish list. I've chosen A Charm of Finches (Venery #2) by Suanne Laqueur as my first read of 2018 and set my Goodreads Challenge goal at 225 books. Sadly, no matter how much I love a book, I am unable to recall details. In other words, although my devotion is clear, my memory is not. I would, indeed, like to attempt to explain my choices to anyone who may be interested. Here's to 2018 being an outstanding year in books! I buy book bundles when I can due to the bargain pricing. (The first three bundles were only $0.99 each and the fourth was available through Kindle Unlimited.) However, since my book database counts a multi-book bundle as a single book, the following is a list of the 12 individual books from within the book bundles. The remainder of my 2017 book database follows that.